This article was included in the Sheridan Historical Society booklet for "Sheridan Celebrates" held September 28, 2013. 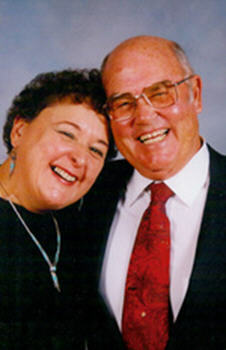 Kenneth (Ken) Lee Coggins, 81, was born in Sheridan, Colorado, and lived in Buena Vista. He died peacefully at his home. Ken was preceded in death by his parents Ray Coggins and Esther Coggins-Huffman, and by his brother Arnold Coggins. Ken is survived by his wife Beverly (Bev) and daughter, Marti Stebbins of Aztec, New Mexico; his sons, Jeff Staebell of Denver, Kevin (Laurie) Coggins of Buena Vista, Kendal (Peggy) Coggins of Grand Junction, and Kary (Cathy) Coggins of Buena Vista; her sons Bill (Yvonne) Van Every of Battle Ground, Washington, and Robert (Nancy) Van Every of Buena Vista; sister Kathleen (Dale) Laird of Buena Vista, brother Norm (Ruth) of Big Timber, Montana; 14 grandchildren and 12 great-grandchildren. Ken joined the Navy after high school and served in the Korean conflict for 4 years. After returning home to the Denver area, he went to work in construction at Coggins & Sons Caisson Drilling [then located in Sheridan at Oxford and Santa Fe, near the Black Gold Service Station] as a heavy equipment operator and retired from Local Union #9. In 1978, Ken moved from the Denver area to Buena Vista and he purchased Mt. Princeton Mobile Home & RV Park. He developed it into a thriving business where RV enthusiasts from all over the country would gather in the summer to enjoy the mountain beauty. While running the park, he met Beverly Van Every, and they were married on March 14th, 1984. Ken and Bev also owned and operated Coldwell Banker Bev Coggins Realty for 26 years. They enjoyed traveling and visited Korea, China, New Zealand, South America, Mexico and traveled extensively around the U.S. in their motor home. Ken was a life time member of the American Legion Post 55 for over 30 years, where he served as the Post Commander in 1991 and 1992. He was also a life time member of the VFW Post 1166, Buena Vista.